Discussion in 'Espionage Report' started by darthskellington, Feb 17, 2011. Today’s collectible is a necklace from Her Universe. 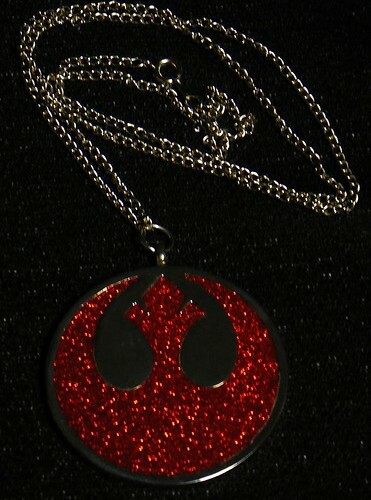 It features a red glitter enameled Rebel Alliance logo on the front. 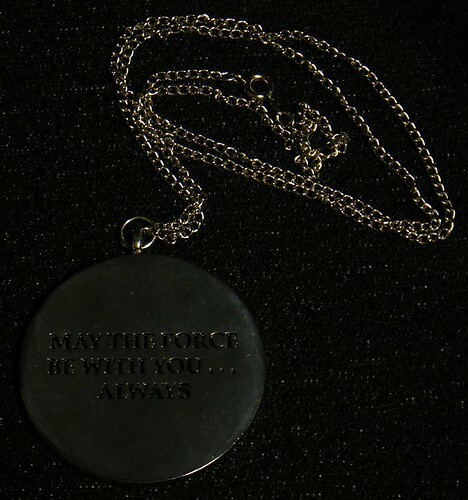 On the back it says, “May the force be with you...always.” Her Universe is a clothing company created by Ashley Eckstein, the actress who voices Ahsoka Tano on The Clone Wars. Her Universe aims to provide geek chic clothing to the female fan. In addition to Star Wars, Battlestar Galactica products may be in the future.